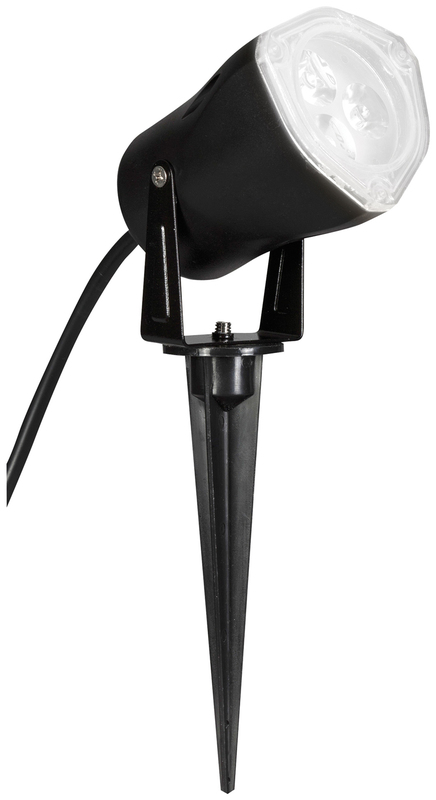 Light up your lawn decorations with this LED Outdoor Spot Light. Light uses an AC plug and has (3) functions: strobing, short circuit and steady burn. Measures 10"L x 3"W.